King Tubby designed the circuitry for Lee Perry's legendary Black Ark studio. King Tubby made dub versions of some of Perry's albums. King Tubby (born Osbourne Ruddock, January 28, 1941 - February 6, 1989) is a Jamaican musician, known primarily for his influence on the development of dub in the 1960s. In the 1950s, King Tubby's musical career began with the sound systems, set up on the streets of Kingston and playing dance music for the people. As a radio repairman, Tubby soon became quite helpful at most of the sound systems around. Tubby began working with Duke Reid in 1968. At Treasure Isle, a studio, Tubby began making remixes of hit songs, usually by simply removing the vocals. In time, Tubby (and others) began shifting the emphasis in the instrumentals, adding sounds and removing others and adding various special effects, like echoes. By 1971 , Tubby's soundsystem was one of the most popular in Kingston and he decided to open a studio of his own. His remixes soon proved enormously popular, and he became one of the biggest celebrities in Jamaica. 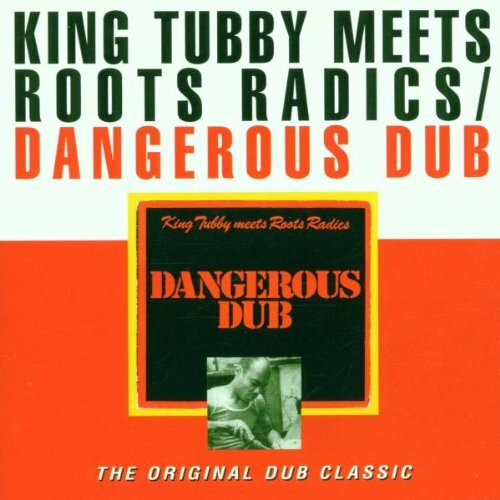 During the 1970s, Tubby's work in the studio gave rise to modern dub music. He had a long string of hit songs, and worked as a producer for some of Jamaica's most popular artists, including Lee Perry, Bunny Lee, Augustus Pablo and Yabby You. In 1973, he began recording voals to put along the instrumentals. By the later part of the decade though, King Tubby had mostly retired from music, still occasionally recording remixes and tutoring a new generation of artists, including King Jammy and Scientist. As a boy Osbourne Ruddock discovered his fascination wit h all things technical and, in particular, electronics. On leaving school, he took the first of his three courses in the subject. By 1962, he'd built his first amplifier, a 25 watt that sounded so good that friends began to urge him to start building a system for playing at dances. But young Osbourne resisted the temptation in favour of more hard graft to further his electronic studies. It wasn't until the late sixties that he felt the urge to embark on building a sound system, but when he did he made sure that it was the biggest and best Jamaica had ever seen or heard. Osbourne Ruddock became King Tubby and Home Town HiFi became the most popular and revolutionary sound system of all time. The way Tubb's played influenced the music we listen to on record. Started his musical career as a audio and tv repairman in the late 1950's. The "Tubby" in his name stands for television"tube". Dancehall producer King Jammy's and his rival Scientist served their sonic apprenticeship with Tubby. Dave Hendley's excellent and informative account of the rise of King Tubby and his studio took us to 1973. At that time, dub was still known mainly as version. It was around 1974 when Lee Perry issued his 'Blackboard Jungle' dub album on Upsetter. It is probably King Tubby's first dub album, although it was only a very limited pressing, and was quickly changing hands for £20.00 or more. The music included is all from the early 70's. and included dubs of the Wailers 'Kaya'. 'Keep On Moving' and 'Dreamland', Junior Byles 'Place Called Africa' and 'Fever', plus two cuts of the title track also known as 'Bucky Skank'. "Cast your ears back thirty years ago to 1973 and revel in the sheer shock and the musical awe that is invoked by Upsetters 14 Dub Blackboard Jungle, a true piece of sonic innovation from the minds of hands of Lee 'Scratch' Perry. David Katz, 2004. As the boss of Auralux, the UK label behind this re-issue of what's considered by most reggae afficionadoes as the definitive dub album of all time, David Katz could be expected to splash the hyperbole, though for dub fans he's certainly justified. Because ever since it came out in 1973 Blackboard Jungle has been hailed as one of reggae and Scratch's key defining moments and 31 years later, it's still true. 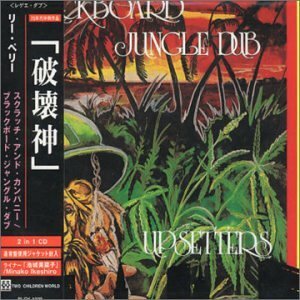 Upsetters 14 Dub Blackboard Jungle, however, is a new version, or rather the definitive original version, dubbed and remastered from a mint condition copy of the original pressing (of which just 300 were made in total).